War of the Symbiotes Part 1: Eddie sits on a park bench and recalls his last encounter with Spider-Man. He then flashes back to a couple days ago when he fought Spider-Man in a museum. War of the Symbiotes Part 2: Venom is captured by Silver Sable, while Spider-Man fights The Beetle. War of the Symbiotes Part 4: Spider-Man bonds with the suit and fights The Ultimates. They are able to remove the suit and capture it. War of the Symbiotes Part 5: Eddie threatens to tell the world Peter is Spider-Man unless he gets the suit back. 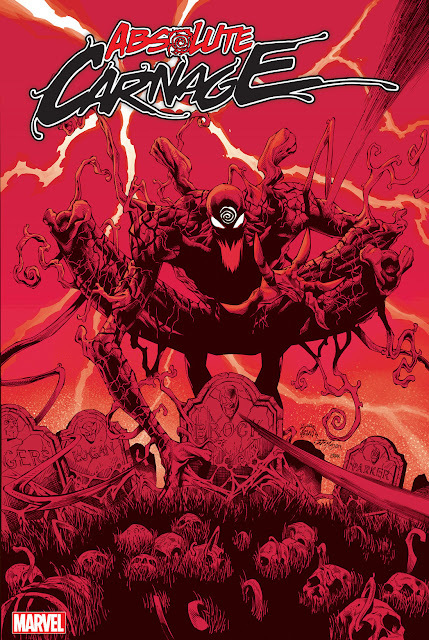 Carnage takes the shape of Gwen Stacy and escapes. War of the Symbiotes Part 6: Venom vs Carnage. Eddie gets the suit back after Carnage tries to attack him. Whenever Venom is near Spider-Man, Peter Parker gets a headache and is in physical pain. This was also mentioned in the video game spin off of the comic.